Classic 1920s Bungalow in Historic Hyde Park just steps from scenic Bayshore Blvd. This beautiful home is filled with character and period details and is situated on an extra deep 155 ft lot deep. Offering a double master suite, one upstairs and downstairs and a much sought-after open floor plan, designed for today’s family. The spacious kitchen features an island, breakfast nook with built in seating and bay window that overlooks the courtyard. The adjoining family features a wood burning fire place and opens to the outside patio providing the perfect spot for entertaining. The formal living and dining rooms are graced with beautiful windows that fill the rooms with sun light and shows off the original boxed-pattern hardwood floors. A wide staircase leads to the second floor where you will find the master bedroom with spa inspired ensuite complete with soaking tub and oversized glass enclosed shower. The two additional bedrooms are bright and cheery and sure to please. Outside a multi-level brick lined patio surrounded by meticulous landscaping completes the package. 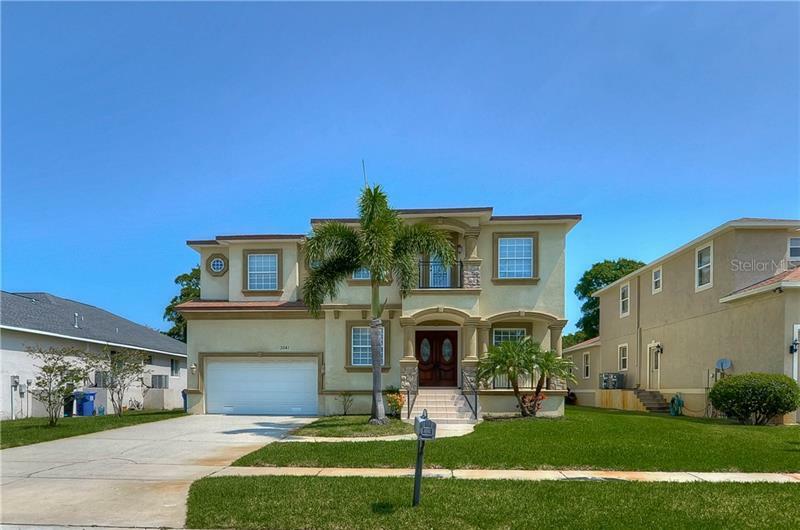 Enjoy living in one of Tampa’s best neighborhoods with top rated schools and the ability to stroll to dinner and events in the Village, as well as Bayshore Boulevard and Kate Jackson Park. Come see this home today! !